The incumbent will report to the Communication & Cultural Programming Manager. interviews of cast & crew, media set visits, behind-the-scenes footage and stills. - Track and follow-up on films shot in Jordan, after their completion or release, for promotional purposes. - Research on film projects and prepare briefs. - Compile all documentation material for the RFC from the different departments, in order to create a comprehensive archival database. - Perform any other task as required by the Communication Manager, such as taking part in the organisation of regular screenings. - A BA in media, journalism or marketing. - Minimum two years’ experience in a similar position. - Excellent communication skills (oral and written) in Arabic and in English. - Film culture is a must. Knowledge in film production is a strong asset. - Capacity to work autonomously. - Excellent organizational skills and attention to details. - Flexible to work outside working hours and on weekends. - Flexible to work in various governorates around the Kingdom and outside Amman. 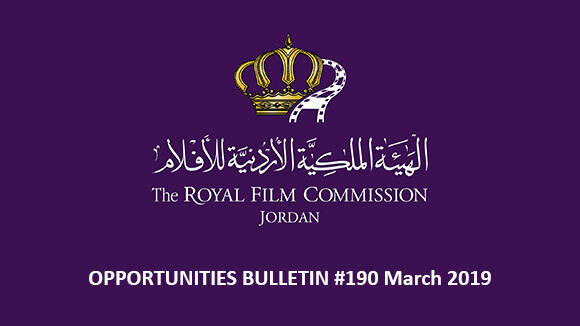 Please send your application to the following email: recruitment@film.jo no later than 31 March 2019, and indicate clearly in the subject of your email the title of the position you are applying for. 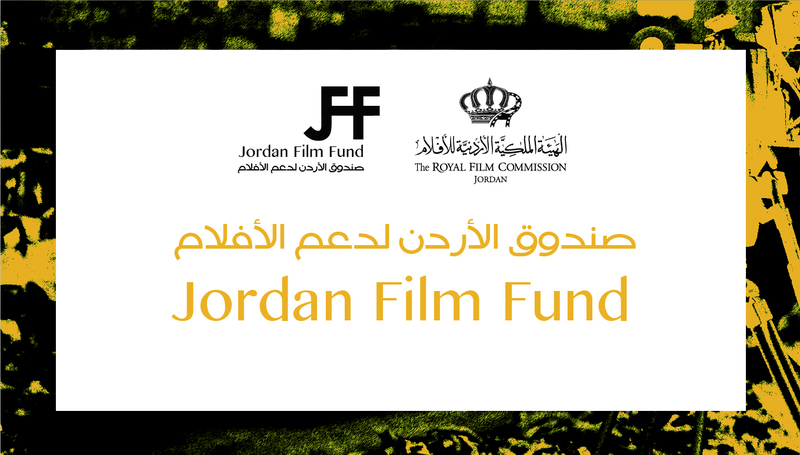 The Royal Film Commission-Jordan (RFC) invites filmmakers to apply to the Jordan Film Fund (JFF) which aims to enable filmmakers to tell their stories as well as develop the independent film industry and contribute to its sustainability, especially in Jordan. ● Feature-length narrative and documentary projects (60 minutes and above) at their development, production and post-production stages. ● Short narrative, documentary and animated films (5 to 25 minutes) at production stage only. ● Further to supporting the development of TV series. Applications in all categories are to be submitted by o21st April 2019 at 12 AM (midnight - Jordan time). Applications submitted after this deadline will not be considered. To apply, please visit our website www.film.jo and read the JFF Guidelines and Regulations file for very important details regarding eligibility requirements and the manner in which funds are allotted. 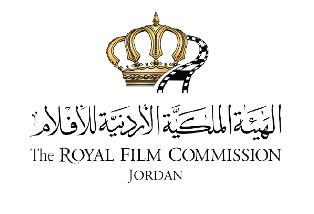 The Royal Film Commission – Jordan (RFC) welcomes applications to the 15th round of Rawi Screenwriters Lab. For its first 11 years, the lab was run in collaboration with the Sundance Institute and is modeled after the Institute’s renowned Screenwriters Lab. Chosen candidates are granted the opportunity to develop their screenplays under the guidance of critically acclaimed screenwriters. These Creative Advisors will have one-on-one intensive story sessions and conversations with the participants about their projects to embrace their vision and help them find the most compelling way to tell their stories. o Lab days: From 1st until 7th of September 2019.
o Independent screenwriters, co-writers or writers/directors. o Writers working on their first or second feature-length narrative. o Arab screenwriters regardless of their country of residence. Each year, the Robert Bosch Stiftung issues three Film Prizes for international cooperation between emerging German and Arab filmmakers to realize a joint film project. The prizes, each worth 60,000 euros, are awarded in the categories of: short animated film, short fiction film, and short or feature length documentary. Eligible for the Film Prize are mixed teams of German and Arab filmmakers who are in the beginning of their cinematographic career. Furthermore, the film should be produced in both partnering countries, stressing in particular the aspect of intercultural exchange. 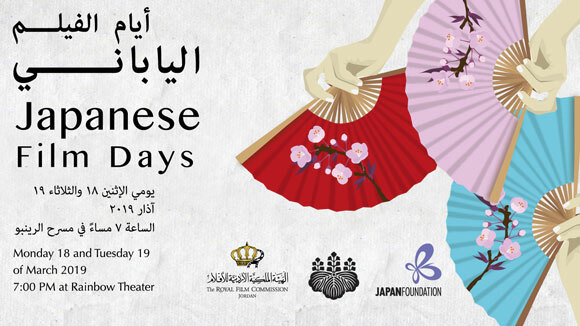 From June 13 to 18, 2019 the Project Market Amman takes place in Amman, Jordan in cooperation with the Royal Film Commission – Jordan (RFC). Up to twenty emerging directors from the member countries of the Arab League are invited to participate in the Project Market Amman to meet with up to fifteen German producers. The Robert Bosch Stiftung will cover all costs of travel, accommodation and catering. Arab directors at the beginning of their cinematographic career, who are nationals and residents of any member country of the Arab League, can apply for the Project Market Amman if they have a project in development in one of the four categories (short animated film, short fiction film, and short or feature length documentary). Applicants must be able to communicate in English. To participate in the Project Market Amman, filmmakers must register at www.onlineprojectmarket.de and fill in and upload all requested data. As project information, a PDF of maximum two to three pages including a logline, synopsis and director’s note is required as well as a link to the director’s recent film. A script or treatment should be available upon request. Projects submitted by March 28, 2019 (midnight CET) at the Online Project Market will be considered as applicants for the Project Market Amman. The Royal Film Commission – Jordan (RFC), in cooperation with The United Nations, Educational, Scientific & Cultural Organization (UNESCO) and with the support of the European Union, is launching a new project “Anthology Film: Women in the Maghreb-Mashreq Region”. 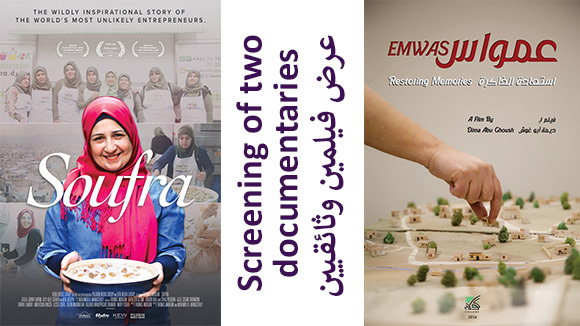 In the framework of the UNESCO’S regional project "Enhancing a gender responsive film sector in the Maghreb-Mashreq region”, “Anthology Film: Women in the Maghreb-Mashreq Region” aims at building the capacity of filmmakers to encourage them to integrate a gender-sensitive approach into the filmmaking process. This will be achieved through the production of a feature-length narrative film, under the theme of gender equality and women’s empowerment in the Arab region. Five stories from five Arab countries (Egypt, Jordan, Lebanon, Morocco and Tunisia) will be told in the form of an anthology film. 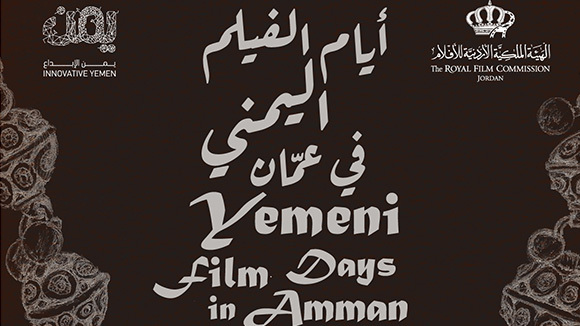 The Institut Français de Jordanie, in partnership with the Royal Film Commission - Jordan (RFC), is organizing the 25th edition of the Franco-Arab Film Festival, which, will be held from the 17th until the 24th of June, 2019. The festival is calling for Jordanian short films (documentary and narrative) to compete. Winners will be announced during the closing reception. • The competition is open to filmmakers residing in Jordan or abroad. Either the director or the producer should be Jordanian. • The film must be at least partly shot in Jordan. • The film should not exceed 20 minutes. • The film has to have been produced in 2018 or 2019. • Each director can submit one film only. • Only short narratives and documentaries can be submitted. Animated films or experimental films will not be accepted. • The film must be subtitled in English or French, if it is in Arabic; or subtitled in Arabic, if it is in English or French. • The director or producer should provide 2 DVD or Blu-ray copies of the film (which will not be returned) . Sending the film electronically by link is not acceptable. • The application form should be typed (not in handwriting). • The application form should cover technical details regarding the film, synopsis (40 – 100 words) and the filmmaker’s information. • There will be two prizes based on the selection of the jury and two prizes based on the audience vote for the documentary and fiction categories. • The four winning films will receive a trophy created by the Jordanian sculptor Hazem Al Zubi. • The two Jury prizes for the best narrative and best documentary will be invited by the French edition of the Franco-Arab Film Festival in France to present their films (on the condition of providing the necessary authorizations for the trip). The full stay will be covered (accommodation and plane ticket). • In addition, the RFC will offer a one-year subscription at the Film Library to the four winners. The deadline for submissions is on Thursday May 23rd, 2019. The Ministry of Culture in Jordan, the Directorate of Arts and Theater and Jordan International Film Festival 2019 have opened the call for applications to produce Jordanian short narrative films for the aforementioned festival. The Ministry of Culture invites interested filmmakers to submit their applications at the Institute of Fine Arts premises before March 31st 2019. The request for participation must be submitted by the film director or the film producer or through a specialized cultural organization in the form of a short film’s idea that has not been previously produced. The application should include the following: a synopsis of the short film (not more than one page), the director’s vision and a short biography of the director. The director should be a member of the Jordanian Artists Union; if not a member, he/she should hold a permit to exercise the profession. The deadline for submissions is on March 31, 2019. Film Independent is excited to offer a Global Media Makers Fellowship to a filmmaker from one of the eligible program countries: Algeria, Egypt, Jordan, Lebanon, Morocco, Saudi Arabia, Tunisia, Turkey and the United Arab Emirates to participate in their Labs as mentioned below. Global Media Makers covers the costs of participation in the labs, including: travel & transportation, accommodation, visa fee and per diem. Through a series of meetings and workshops over several weeks in Los Angeles, the Labs provide creative feedback and story notes to participating filmmakers, while helping them strategize for the completion, distribution, and marketing of their films. Additionally, the program serves to advance the careers of its fellows by making introductions to film professionals who can advise on both the craft and business of filmmaking. The Episodic Lab will take place in Los Angeles over several weeks in August 2019. The lab, which will meet several nights a week, will accept a diverse group of 6-8 long-form series writers or writing teams and provide them with critical support and mentorship. Through personalized feedback from experienced showrunners, creative producers and executives, fellows will gain the tools to revise and refine their original series pilots and pitches and navigate a changing TV industry landscape. The Episodic Lab is open to any emerging writer applying with a completed draft of a half hour or hour-long television pilot they wish to workshop during the program. Each applicant must be the author of the script he or she submits. The submitted pilot cannot have been pitched at any point to a studio or network. APPLICATION PROCESS (APPLICATIONS TO GLOBAL MEDIA MAKERS WILL BE CONSIDERED BY NOMINATION ONLY). The deadline for submissions is on March 25, 2019 by Close of Business Day. 1) Be a citizen of and living as a resident in one of the eligible program countries: Algeria, Egypt, Jordan, Lebanon, Morocco, Saudi Arabia, Tunisia, Turkey and United Arab Emirates. U.S. citizens, residents or green card holders are not eligible for this program. 2) Applicants can be a screenwriter, director, producer, or a director + producer team, and also for documentaries they can be director + editor team. 3) Be mid-career filmmakers with at least one previously completed short or feature film. College graduates from the classes of 2017 or 2018 are not eligible for the LA Residency but can benefit from Film Independent’s follow-up Workshop Trips presented in their countries. 4) Selected participants are required to focus on and develop the project with which they applied to the program. 5) Selected participants must attend the full length of the program in Los Angeles. 6) Proficiency in English is required to participate in the program, as it will be the common language of the Labs. Talents Beirut 2019 is accepting application between March and May 2019. The event will take place in September this year. Talents Beirut invites 20 emerging cinematographers, editors, sound designers and score composers from the Arab world to take part in a four-day programme of workshops and talks in order to reflect on their own work, connect with other emerging creative talents and benefit from the knowledge and expertise of distinguished film professionals from the region and beyond. Film submissions for the Zurich Film Festival (ZFF) 2019 are now open. The festival will run from September 26th until October 6th, 2019. ZFF is looking for cinematic discoveries from all over the world: competitions see first, second and third directorial works. In addition, the festival hosts an International Series Competition and also welcomes submissions to the Non Competitive Sections. The Golden Eye endowed with a CHF 25'000 cash prize will be awarded in each of the two categories International Feature Film Competition and International Documentary Film Competition and CHF 20'000 in the Focus Competition. The Golden Eye for Best International Series is endowed with a CHF 10'000 cash prize. Find information regarding film submissions and entry requirements on our website. For technical questions regarding the use of Withoutabox, please contact Withoutabox Support. The deadline for submissions is on June 30th, 2019.